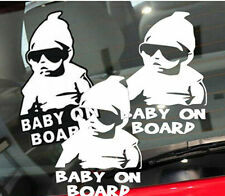 3 x baby on board decal Sticker. DIY your own personalized car. Good to notice the people your cute baby is on the car. 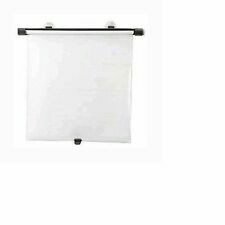 Waterproof, Fade-resistant, Self-adhesive,anti scratch. Easy to Install, Easy to remove. 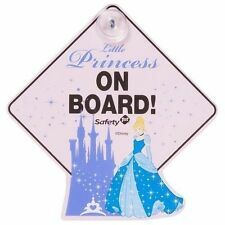 Princess on Board Personalised Girl Baby/Child Car Sign - Choice of designs! 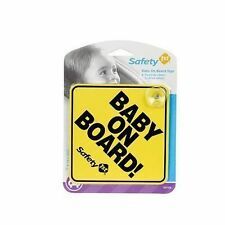 Baby On Board Vehicle Warning Safety Sign Sticker. Baby on Board Vehicle Warning Safety 'Stickers'. 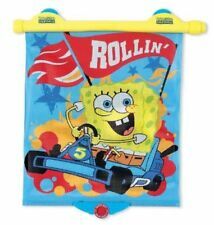 For Car or Vehicle Use. Our decals are made from premium vinyl, 5-7 year life expectancy (exterior application, interior life much longer). Decals have no background colour, so whatever you stick them to will be the background colour. 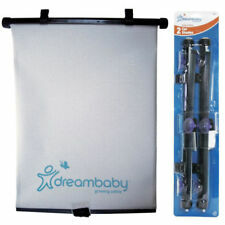 Protect your baby from rear or side window sun and glare while maintaining driver visibilityUse on the front and back side windows to block the sunThese Static sun shades keep your car cool and prolongs the life of your cars interior by preventing sun damage, as well as acting as a barrier to stop sun from getting in your children's or passengersFor cars with leather seats it can prevent them from getting to hot and burning you when you sit on them. 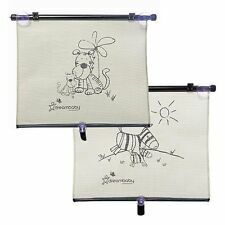 It is installed & removed quickly and easily to your window, Stick on & peel off at anytime, using innovative static plastic backingStatic sun shades,it can rise and drop with the windowKeeps the car interior coolThis sun shade blocks the sunPro Longs the life & look of your cars interior (Stops Sun Damage)Will f.
This Baby On Board Sticker is all weather proof and can last up to 7 years out side with. It is easily applied and can also be easily removed. The sticker will not fade and will keep its colour. Baby On Board Sticker. Farbe: Die Farbe zufaellig. Halten Sie die kleinen Finger Ihres Babys sicher. 1X(Nagelneu und hohe Qualitaet. Anzahl: 4 Stk. Breite: ca. 10.7 cm. ). Mum to Be On Board. would like it personalised. which is then laminated using 250 micron laminate. Suction cup attached - simply stick to any smooth surface. Unique Car Sign - Beautiful Design. Fier d’être Mancunian. Manchester blanc Bee Vinyl Sticker Decal. La couleur par défaut est blanc. Accueil - voiture - Van - Camper - camping car. (c'est-à-dire l’arrière-plan est la couleur de la surface, à qu'il est appliqué). Nip in the bud whatever accidents likely to happen. [MAXIMIZE VISIBILITY]: Everyone can see it! peel, or crack. we'd like baby at our side. But as parents, we have to think more about baby's safety on board, which is what we most concern. Can be fixed to rear car window with suction cup. The Safety First Baby on Board indicates to other motorists that there is a child in the car and encourages drivers to use caution when approaching cars with young passengers. Fitting instructions provided with each decal. Our decals are made from premium vinyl, 5-7 year life expectancy (exterior application, interior life much longer).